2285 Middle Road is the home of the Keokuk High School, Calvert Stadium, and Wright Fieldhouse. 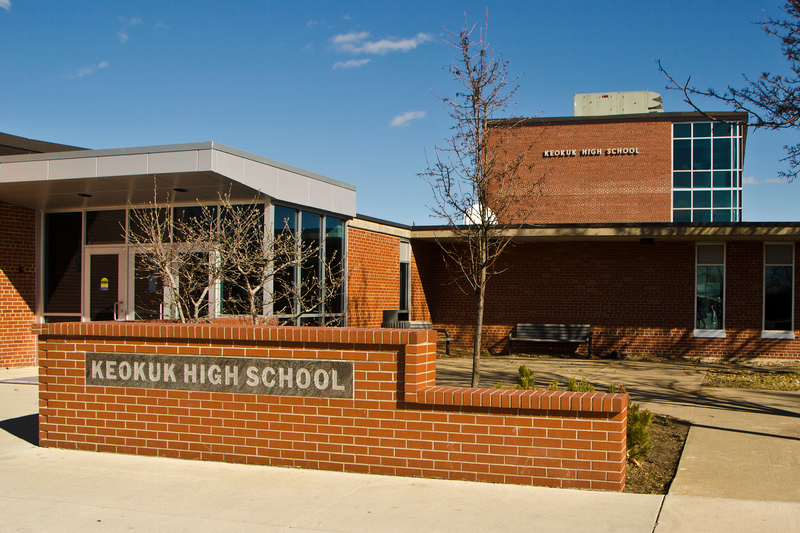 Approximately, 636 students attend the public four year high school. KHS is accredited by the North Central Association and the Iowa Department of Education. The school year is divided into two semesters. A semester is 18 weeks with nine week reporting periods. The fifty-five faculty members average 18 years of experience. Over 58 percent of the faculty have master’s degrees and 95 percent have completed graduate work in their teaching field.